News of the upcoming appearance was delivered in a video sent to roughly 3,000 graduates and posted to Tulane's official YouTube channel. The short features both Cook and Tulane alumna Lisa Jackson, Apple's VP of Environment, Policy and Social Initiatives. In the video, students are asked to decipher a line of emoji that roughly reads, "Cook speaker at Tulane graduation." Cook caps off the video with a brief appearance. "Hello Tulane, I can't wait to see you in May. Roll Wave," Cook says, referencing the school's nickname, the Green Wave. In a statement to The Times-Picayune, Cook highlighted Tulane's focus on diversity, an important issue for the tech CEO. 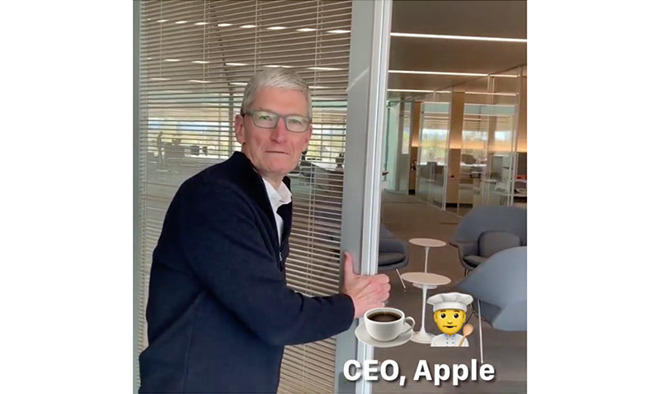 "At Apple, we believe that education is a powerful equalizing force, and I can't wait to celebrate alongside this year's students, who have worked hard, followed their passions and who stand ready to change the world," Cook said. Tulane President Mike Fitts lauded Cook in a statement of his own, saying the executive represents the kind of success for which the school strives. "At Tulane, we are committed to addressing global challenges, giving back to our community and always acting with integrity and wisdom," Fitts said. "Tim shows us how we can incorporate these values into life beyond graduation, and we are thrilled to have him as part of our commencement celebration." Shortly after the video was published, Jackson, who was Tulane's commencement speaker in 2012, welcomed Cook to the university in a tweet. Cook is no stranger to the commencement dais. In 2015, the CEO delivered a speech to George Washington University graduates, and did the same for the Massachusetts Institute of Technology in 2017. Most recently, Cook in 2018 delivered the commencement address for his alma mater, Duke University, in a speech that urged students to "think different" and leave the world a better place than they found it.